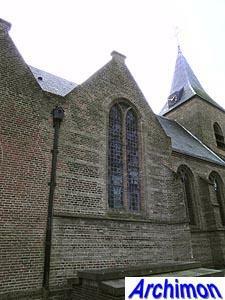 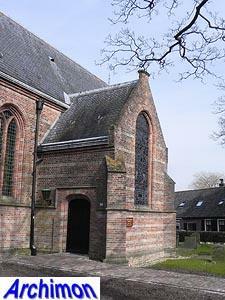 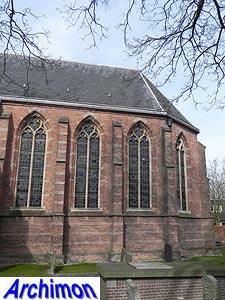 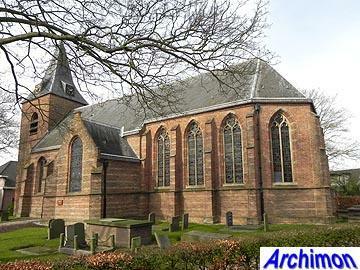 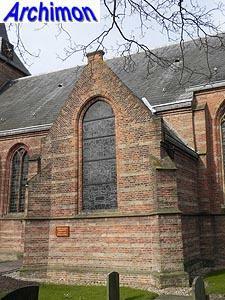 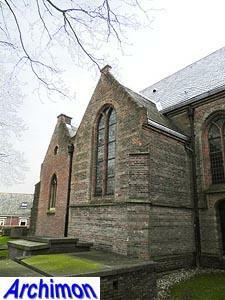 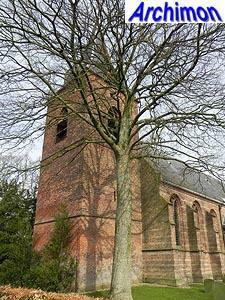 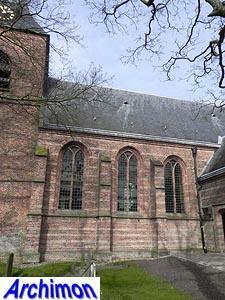 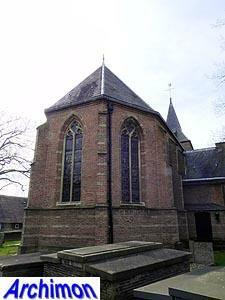 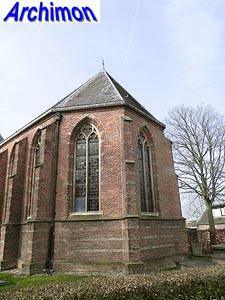 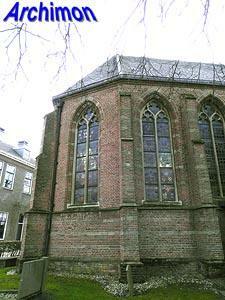 In 1138 the bishop of Utrecht gave his permission to the founding of a church in Nieuwer Ter Aa. 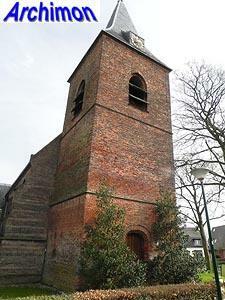 The original one-aisled Romanesque church was replaced in ca. 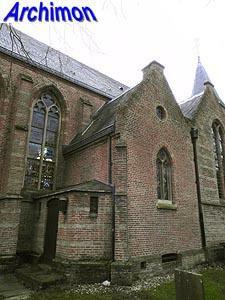 1475 with the current building in late-Gothic style. 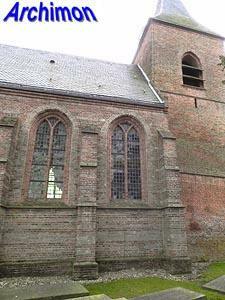 Like its predecessor, the current church has a one-aisled nave, but the foundations of the Romanesque church showed that church had been less wide. 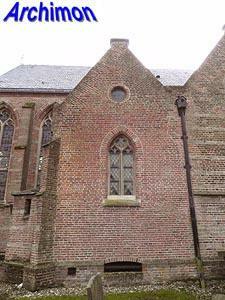 Unfortunately these foundations were destroyed by workers during a restoration in the 1950's. 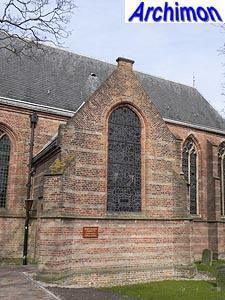 The Gothic church was largely constructed out of bricks, but blocks of tuff of the old church were used in decorative layers in the new walls. 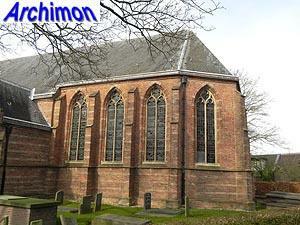 The church has a transept with two short and low arms that resemble chapels. 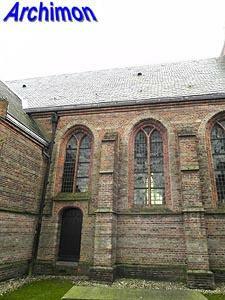 At the north side a sacristy was built in the corner between transept and choir. 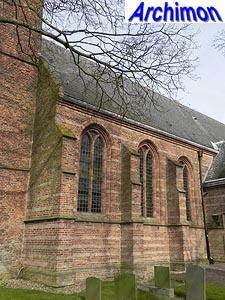 Remarkably, its walls lack the tuff layers. 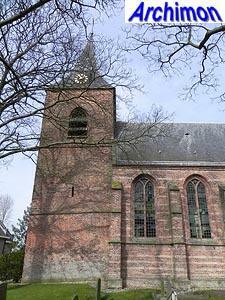 At the west side of the nave a tower in a simple, hardly Gothic style was built, also entirely out of bricks. 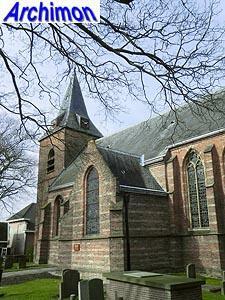 The church became protestant in 1583 and has been ever since.